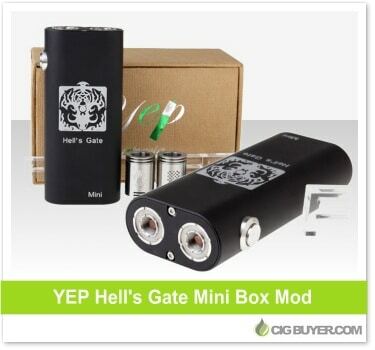 The smaller version of the Hell’s Gate Mechanical Mod, the Hell’s Gate Mini by YEP is a unique device (just like the original) that includes side by side 510 connections for using two atomizers simultaneously. It includes two high-quality YEP RDA’s that you can fire individually, or you can use both at the same time with the special top adapter. It houses two 18650 batteries just like it’s big brother, but the Hell’s Gate Mini is 2mm shorter, 6mm narrower and almost half the weight.